What is a ‘Spot Market’? A spot market is simply a market for financial instruments, in this case currencies, which are traded immediately in that instant, or ‘on the spot’. Over-the-counter (OTC) Forex markets differ from the futures market, in which orders are fulfilled at a later date. In the Forex spot market, total daily transactions are at around $1.5 trillion. For us retail Forex traders, it can feel like an overwhelming task to find accurate liquidity information for the FX market on a daily basis. Liquidity is crucial to understand because experienced traders will use market liquidity to know if any trading action should happen, what potential currencies to trade, and when to open those positions. The Forex market is not centralized like its stock exchange counterpart. Rather, FX is made up of thousands of brokers, traders, and banks of all sizes placing transactions with one another. But since volume is tracked independently, us retail traders are forced to be limited to the volume data given by our brokers. Within each Forex broker’s trading platform you’ll find a feature on the platform that will display the period’s trading volume on your charts. This volume tool is displayed as individual bars underneath individual price bars, reflecting the amount of money that was traded during the given period. But unfortunately, this volume data only shows us the broker’s volume, it does not represent volume for the entire Forex market. 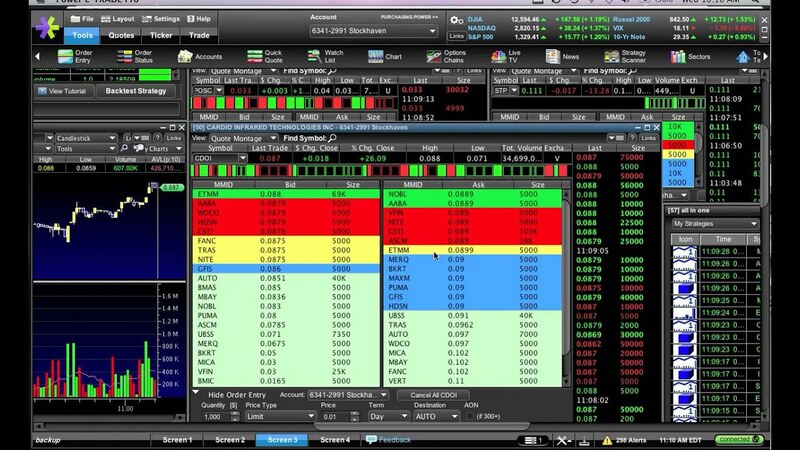 Some brands offer this as a standalone service, many Forex brokers offer their clients Level 2 trading screens. Level 2 trade screens allow us to see exactly how much currency is currently available at specific prices, this includes price levels above and below the present price. With a Level 2 screen, you can see anywhere from millions of dollars available to only a few thousand, depending on the currency. Millions within a few pips lets us know there is a significant amount of market liquidity, while a much smaller amount available for a given currency pair tells us there’s a potential for large price swings, and it’s probably best to look for a different trading opportunity. But again, if your broker is the one providing you with the Level 2 screen, you are still only seeing volume for the broker, not the entire market.